Research: That’s right I researched where and how to get my power and water turned on, cable companies servicing the area, grocery stores nearby, and got price quotes for movers. Make Lists: I moved from a room to a house, which means I needed a LOT of stuff. Which also means I had multiple lists going on, and still do. There are so many more things you need then you think, and the only way to keep track of it all is to make lists. Then you can slowly work your way through them as you have time and funds, based on necessity. Plan Your Time: I cannot stress this enough, you will run yourself ragged if you don’t plan your time to be used the most efficiently. Don’t wait until the last minute to look for movers or to get your power turned on, because you could be stuck without power for days. Nobody wants that. 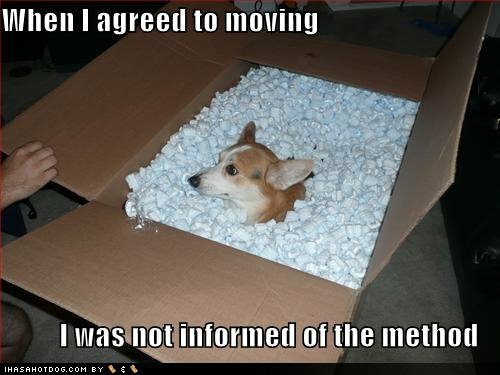 What tips do you have for dealing with moves? Let me know!